I just had a logo made for my firm. Can it be placed onto my invoices? Rocket Matter Knowledge Base Invoice TemplatesInvoice Template: How do I add a logo to my Invoice Template? Adding a logo to your Invoice Template is easy! 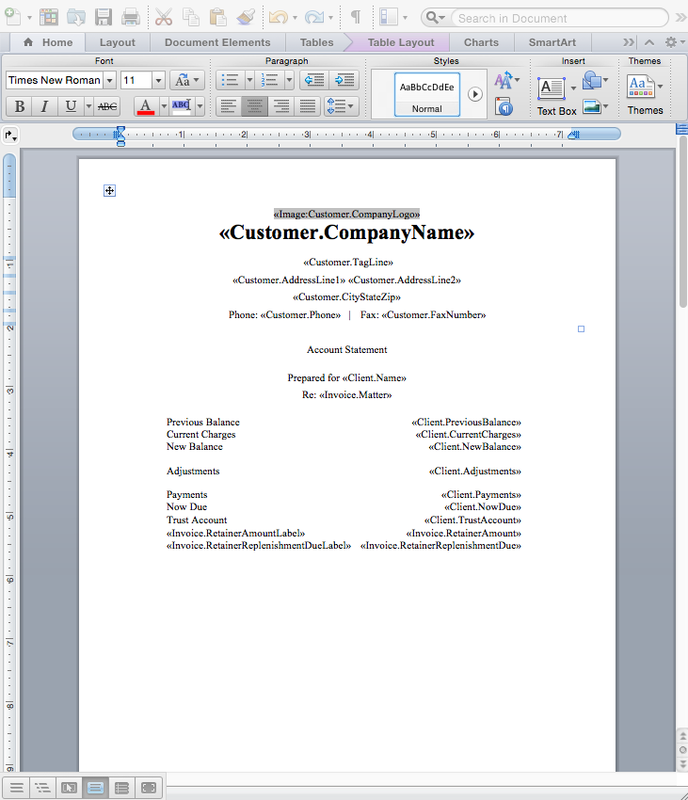 Simply download your invoice template and open it in Word. 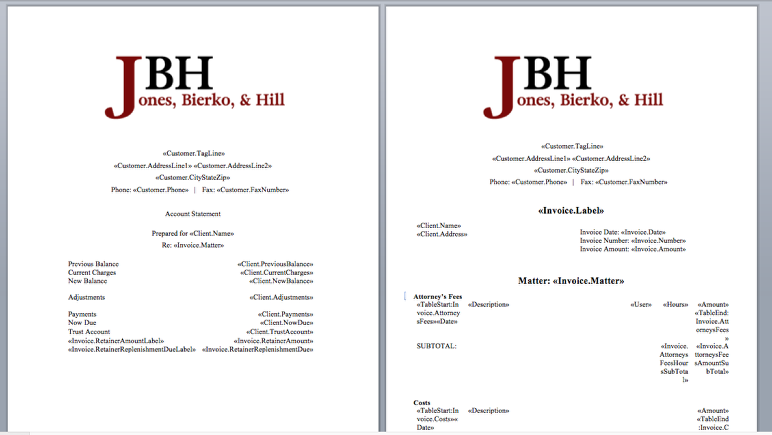 In Word, add your logo, and upload our updated Invoice Template back into Rocket Matter. 1. From the Dashboard, click "Settings". Zoom: 1. From the Dashboard, click &quot;Settings&quot;. 2. 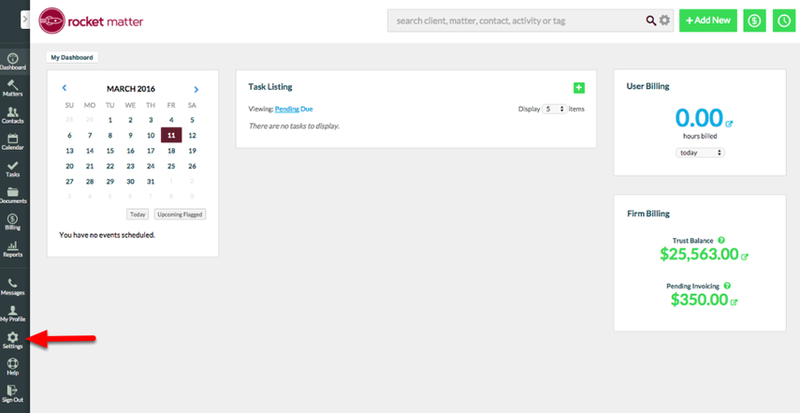 Click 'Custom invoice Template'. Zoom: 2. Click 'Custom invoice Template'. Zoom: 3. Click 'Download Template'. 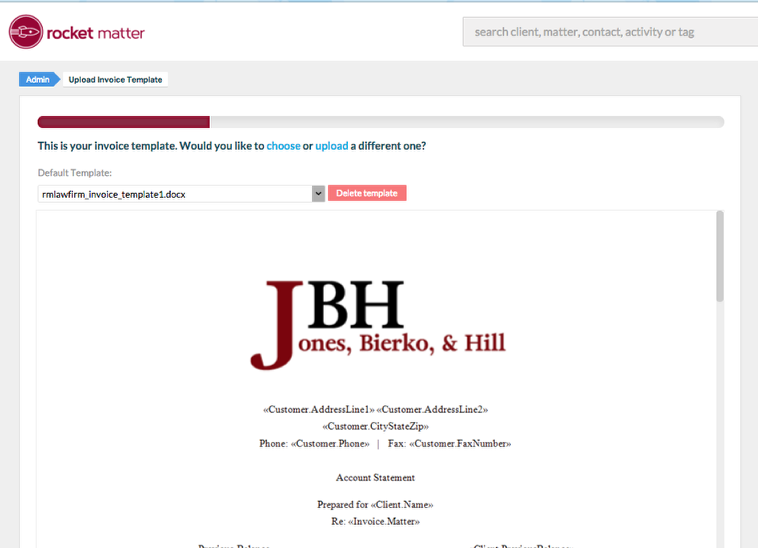 - Your default template will be downloaded to your Downloads folder. 4. Open the template in Word. 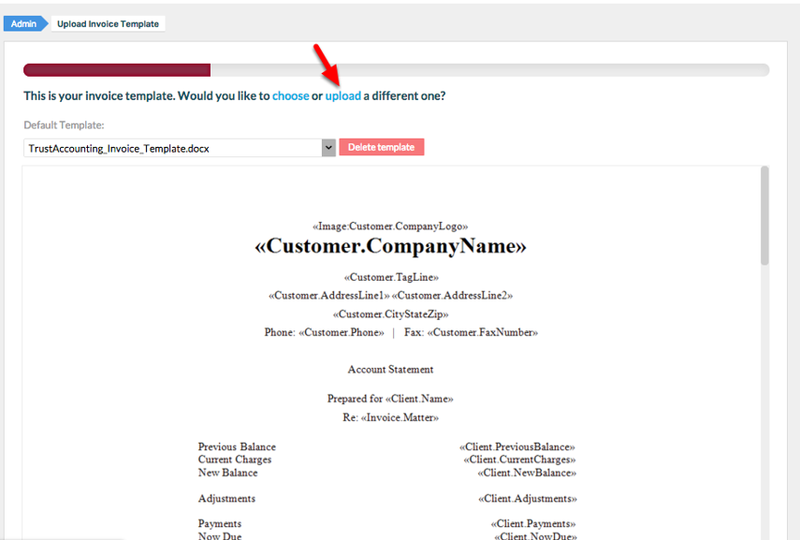 - Keep a copy of your default template for reference before you begin modifying the document! 5. 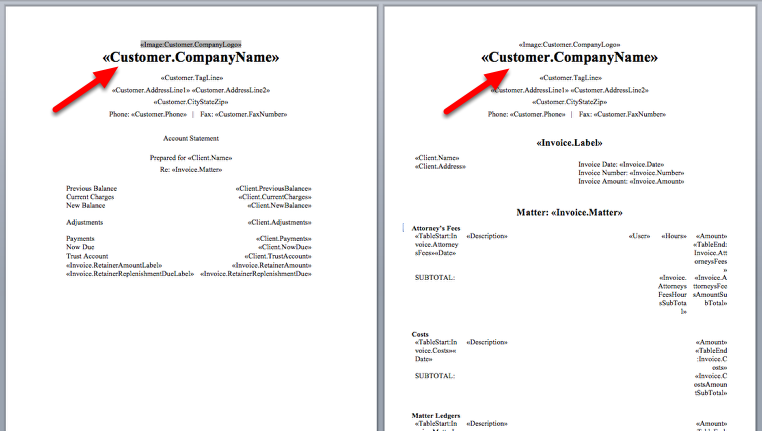 Remove «Image:Customer.CompanyLogo» and «Customer.CompanyName» your from the top of each page. This will require you to shrink or enlarge the logo until you position the logo in the correct location. 6. Place your logo in the desired location. Save your document to a discrete location within Word. - Use Word's robust formatting options to scale and position your logo. 5. Click "upload" in Rocket Matter. Zoom: 5. Click &quot;upload&quot; in Rocket Matter. - Follow the system prompts to upload your document, by "choosing your file" and clicking "next". 8. Your newly revised template will appear in the display window. The document displayed in this window is used by Rocket Matter as your default invoice template. 6. Run a pre-bill to check out your work. - If you run a pre-bill and do not see your phone number or fax number on the invoice, access the firm's contact record inside Rocket Matter. Add the correct phone numbers to that page, and they will surface on the invoice. 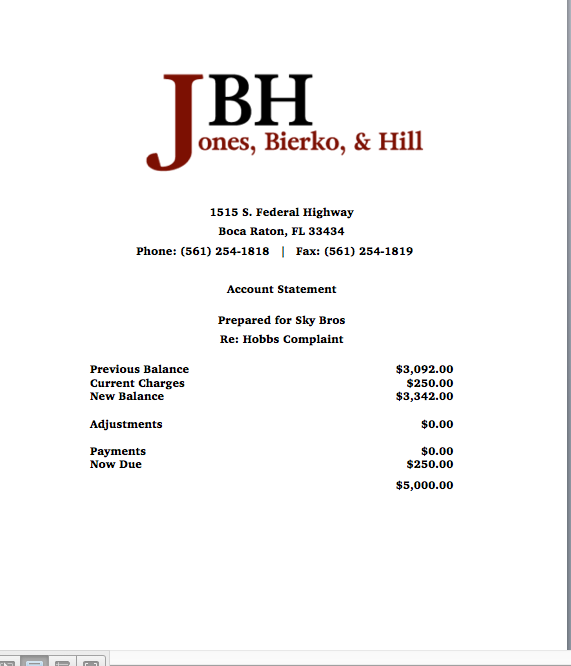 Prev: Invoice Template: How to set a specific invoice template for one matter? Next: Summary Template: How to modify my Summary Template.